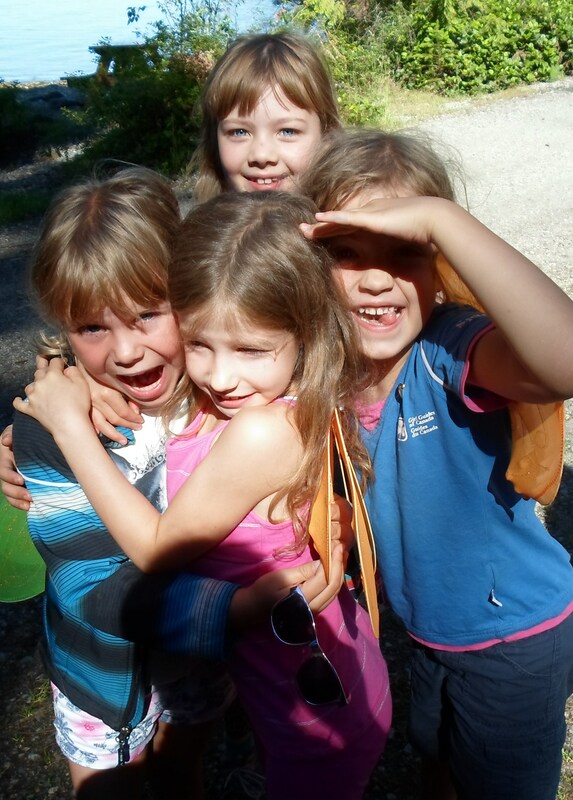 The 1st Sparks and the 54th Brownies recently had their year end camp together at the beautiful Camp Olave. 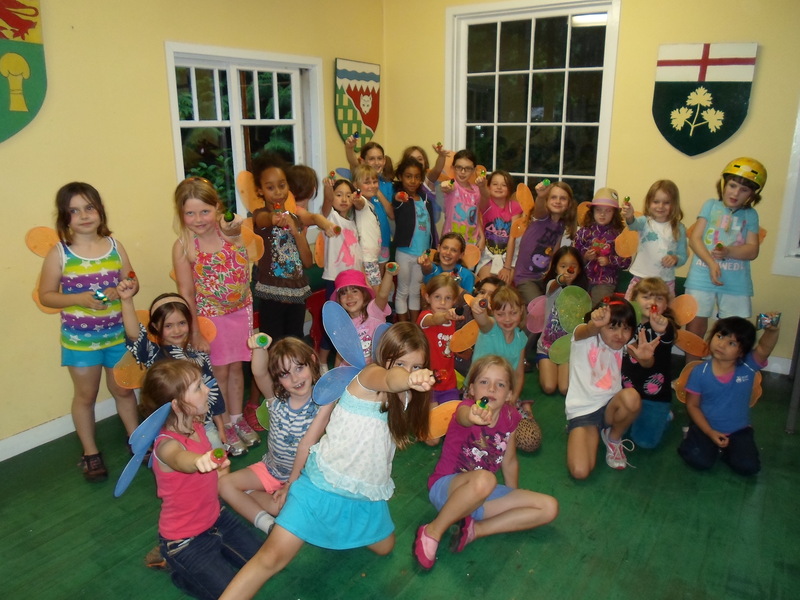 The theme was “A Fairy Earns Her Wings” and the girls had a fun-filled weekend doing different tasks that eventually ended in a fairy ball where each girl was presented with a pair of beautiful wings. There were crafts, games, and songs. They did activities like navigating a blind trail obstacle course and swimming in the ocean. There was even a bear sighting the first night that put a rather rapid end to the campfire, and provided much excitement. The weather was warm and beautiful. 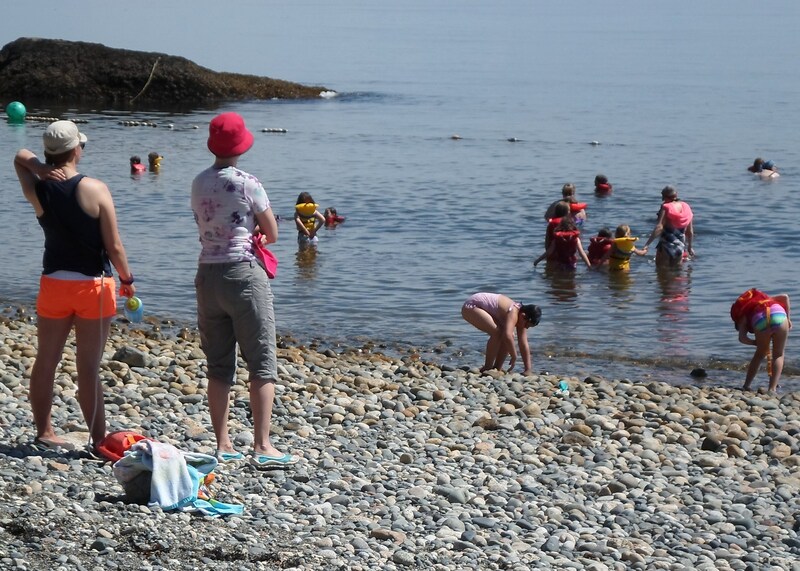 Every single girl got into the ocean — which isn’t always the case, as the water is very cold! But these fairies needed to cool off. One of the highlights was the fairy magic station. Regular little girls can blow regular bubbles. 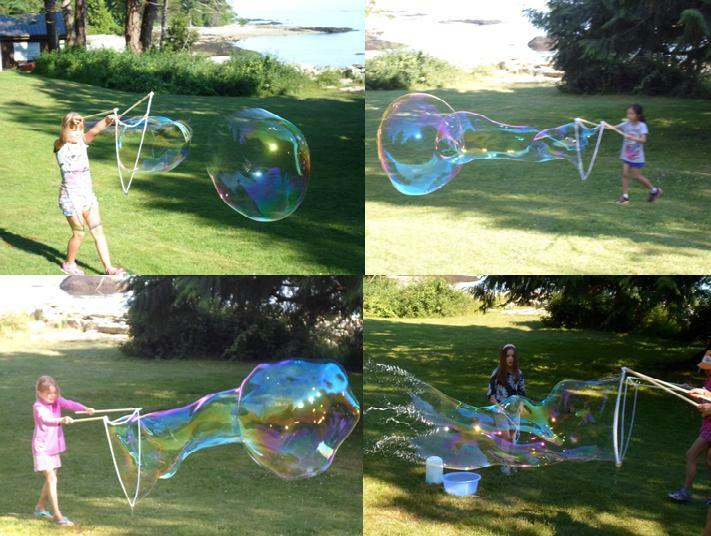 But only fairies can make GIANT bubbles. This activity was a hit with girls and leaders alike, and got the attention of many other campers on site. At the fairy ball the girls earned their wings, got a fairy jewel (a ringpop) and danced to some pop music. It was a great celebration to recognize their fairy accomplishments. Big thank yous to all the leaders who organized such a successful camp. There were a few volunteer mums who came to help out and they were amazing. For many of these girls this was their very first camp — we’re glad it was such a great one. 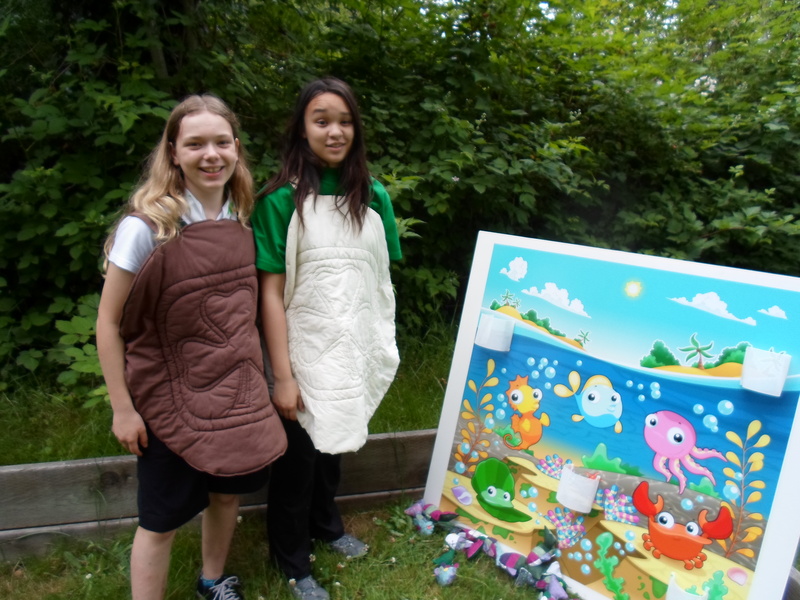 To wrap up the Guiding year at a district level, Burnaby Mountain hosted a family picnic at Warner Loat Park to celebrate our girls and their families. The event was well-attended and it seemed like a good time was had by all. 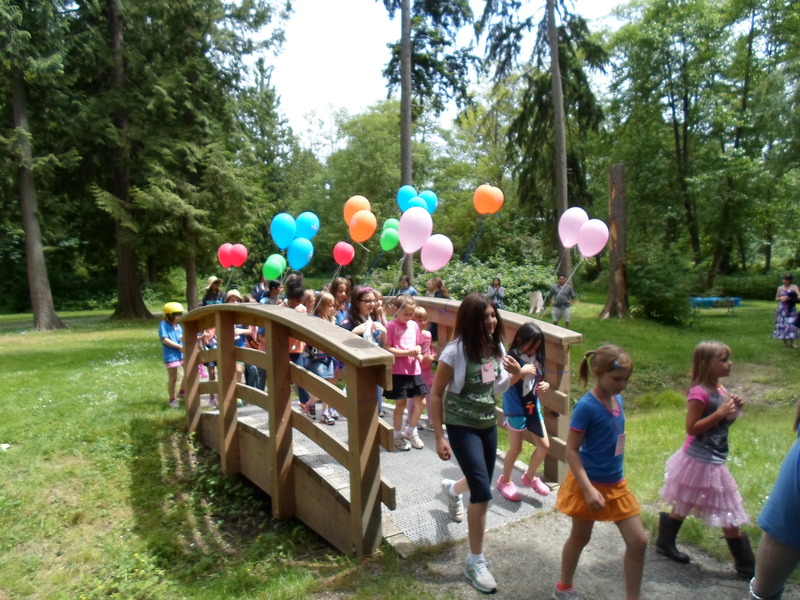 The event started with an Advancement ceremony where each branch’s advancing girls were welcomed by the next branch as they symbolically crossed a foot bridge. The group got bigger and bigger as the group of advancing girls amassed, and eventually all of the girl members crossed together into the next Guiding year. Picnic activities included face painting, balloon animals, and button making, as well as carnival style games like bean bag toss and egg on a spoon. There were also areas for bubble blowing and free play. There were big crowds and huge smiles. More than 150 hotdogs were served. Prizes were claimed by girls and siblings who completed most of the activities. It was a great treat to see so many girls and guiders and family members come together to celebrate the Guiding Year. Big thank yous to the hard working Guiders who planned and put on such a great event. Thank you to the Pathfinder and Ranger girls who helped run the stations. And thank you also to West Coast Area Commissioner Donna came out as a special guest.